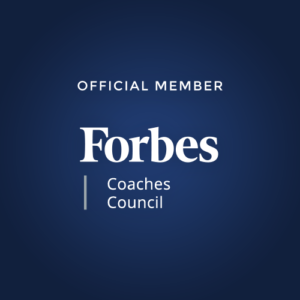 The value of genuine influence is being realized and appreciated by more and more businesses with each passing day. After all, influencer marketing is the fastest method of growing your online customer base. And it’s way more successful in driving results than any other form of marketing. However, much of this success is an outcome of an effective influencer outreach program. According to a recent study, influencer marketing delivers an ROI of 7.65x, which is much more than the return marketers get from traditional advertising. Hence, it is no wonder that brands flock towards influencers and are willing to pay fortunes for a mention. That being said, not everyone can afford to work with the likes of Selena Gomez. And trust me, you don’t necessarily need to. For successful influencer marketing, the key is to focus on finding influencers who are right for you and then conduct effective influencer outreach. But then again, that’s easier said than done, right? That’s exactly why I’m here today. To talk about a simple step-by-step guide to conduct an influencer outreach that delivers stunning results. So let’s get started, shall we? Essentially, influencer outreach is the process of connecting with relevant influencers and persuading them to work with you. But, before you get to that, you need to do some groundwork and find the influencers that you want to reach out to. This is an important step because working with the wrong influencers can do more harm than good. So you need to be careful about the influencers that you choose to work with. The first step in your influencer outreach program should be to find the right influencers. Think of them as your partners who are likely to be truly invested in your business. You must make sure that their niche is in alignment with your products or services. If that happens, it’s a win-win situation for both of you. Influencers can build their credibility by promoting products that their followers might actually be interested in. And you get to win customer trust since the recommendation comes from a credible influencer. Relevance is the first and foremost factor that you should look at while searching for influencers. Ensure that the influencers that you work with are within your industry niche and their personal brand matches your brand’s values. In the example below, a travel influencer is promoting a useful product that comes in handy while traveling. 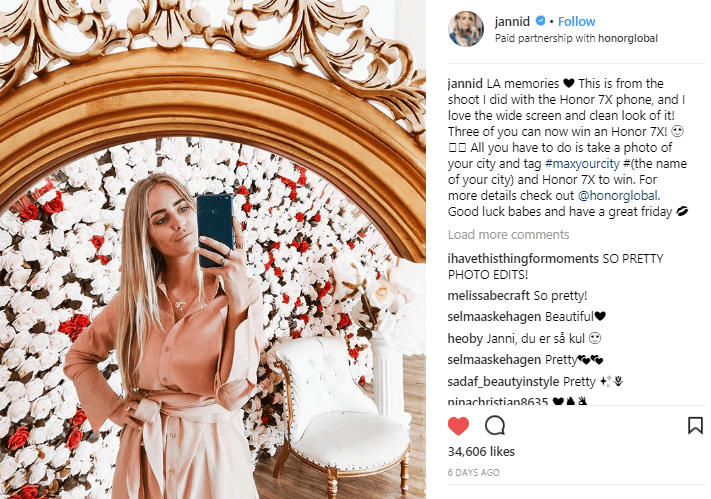 This brand influencer collaboration is relevant because the post fits naturally within the influencer’s feed and is relevant for her audience. A celebrity influencer whose niche is completely unrelated to your products won’t help you in any way. They will simply eat away your budgets. So, you must find influencers who are relevant to your brand. 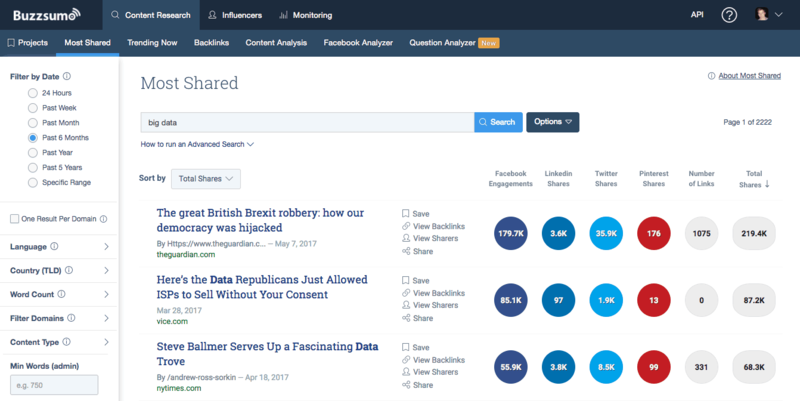 Platforms like BuzzSumo or Grin can help you find influencers across various niches as well as categories. You can filter them by their reach, authority, and influence. Take time to go through the content posted by your influencers on their blogs and social channels. This will help you understand what kind of messaging they use and if it aligns with your brand or not. Look at metrics such as the influencers’ follower counts on Twitter, Instagram, and Facebook pages. 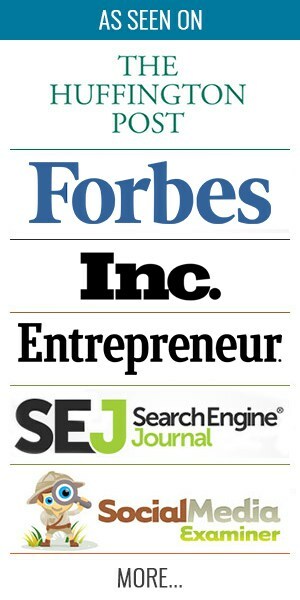 You should also try to find out the number of monthly visitors to their blogs, their MozRank, and Alexa rank. This will give you an idea of the number of people you can reach by leveraging an influencer. More than the number of people you can reach, it is important to understand how many of them genuinely engage with the influencer’s content. Simply having a large following doesn’t mean that they can be influenced easily. This is especially true for paid followers. Hence, you need to check the percentage of followers who regularly like, comment, and share an influencer’s content. That is the true measure of their influence. Look at metrics such as the influencer’s follower counts on Twitter, Instagram, and Facebook pages. You should also try to find out the number of monthly visitors to their blogs, their MozRank, and Alexa rank. This will give you an idea of the number of people you can reach by leveraging an influencer. More than the number of people you can reach, it is important to understand how many of them genuinely care. Simply having a large following doesn’t mean that they can be influenced easily. This is especially true for paid followers. Once you’ve identified a set of influencers who seem right for your brand, you need to work on your influencer outreach. Before you start connecting with them, though, you need to think about a few things. Ask yourself the following questions. Why should these influencers respond to you? What kind of perks or compensation are you willing to offer? The answers to the above question will actually help you draft your pitch to influencers before you get to the actual influencer outreach. Make sure to articulate your goals clearly. What you are hoping to achieve from an influencer marketing campaign and how it will help your brand? Also, how are you willing to help your influencers? Are you going to offer them free product samples, pay for posts, commissions on sales? Keep your draft ready for the influencer outreach but wait, don’t pitch just yet. Remember, successful influencer marketing requires you to build long-term relationships with influencers. You must make an effort to nurture these relationships. You need to demonstrate to influencers that you’re in it for the long haul, and not myopic in your approach. So, don’t start by sending your pitch and starting influencer outreach as soon as you’ve identified your influencers. Instead, start engaging with them on social media. Like and comment on their Instagram or Twitter posts. An easy way of doing this is to add them to a Twitter list. This way you can monitor their accounts daily and engage with their posts. This way you will be able to build a relationship with influencers before you do your influencer outreach for paid collaborations. This will also be beneficial for you because when you finally get to influencer outreach, chances are that they’ll recognize you. This will make the influencer outreach process easier and smoother for you and will increase your chances of getting a positive response from influencers. Once you have successfully made your presence felt, and have built an initial relationship with influencers, you can start your influencer outreach. There are several ways in which you can do your influencer outreach, but direct influencer outreach is the most common method. According to an ACTIVATE study, 72% of marketers choose to reach out to influencers directly. A catchy subject line that makes them want to read your email right away. Your introduction and the context of how you know them and what you like about their work. The reason why you are writing to them. The compensation that you’re willing to offer and other non-monetary benefits that they will derive out of the collaboration. A conclusion with a definitive call-to-action. A clear, concise email that puts across all the relevant information and prompts the reader to take an action. That is the definition of an effective influencer outreach email. There’s no need to write multiple paragraphs of how you loved their work or about your business mission. Instead, talk precisely about what’s in it for them and why they should work with you. Make sure to frame it in a way that sounds like an exciting opportunity. Also, make sure that your subject is intriguing enough. If it’s not, they might just save your email for later or just completely ignore it. And definitely, include references to your past collaborations with influencers. Such proofs build your credibility and are essential to the success of your influencer outreach. Here’s an example of a great email template. My name is [YOUR NAME] and I’m the [YOUR JOB TITLE] at [YOUR COMPANY]. I’ve been following you on Twitter for some time now and have been really impressed with your content. I’ve even shared some of your posts on our social channels and they’ve resonated quite well with our audiences. We’ve been working with [OTHER INFLUENCERS YOU’VE WORKED WITH] for some of our past social media campaigns [MENTION THE LINK] and they’ve loved it. We’d like to invite you to work with us on a Twitter campaign that we’re currently finalizing. If this interests you, please reply to this email so we can set up some time for a conversation. All of us get tons of emails every day and hence it’s quite possible that your outreach email gets lost in the clutter. So, make sure that you send follow up emails to the influencers if you haven’t heard back from them after your initial influencer outreach. A reminder about the previous email you have sent. A summary of what’s in it for them. A clear call-to-action that informs them about the next steps. Here’s an example of a good follow up email, for your influencer outreach. My name is [YOUR NAME] and I’m the [YOUR JOB TITLE] at [YOUR COMPANY]. I wanted to check if you’ve had a chance to go through my previous email. It was about a project that I was hoping we could partner on. I’ve been following your work closely and was really impressed with [EXAMPLE OF THEIR WORK]. I thought this partnership might interest you because [SHARE REASONS]. If it does, we’d love to get on a call to discuss the details and how we can help each other. Here are some of our past projects for your reference [MENTION THE LINK]. If you don’t hear back after your first follow up email, I’d recommend waiting for a week. Then send a final follow up email to an influencer. Sometimes they might just miss out on it for various reasons. And it might not necessarily mean that they aren’t interested. So give it a couple of attempts before moving on. Also, in the meanwhile, be sure to continue trying to get their attention by liking and commenting on their posts. If they start recognizing you, you’ll have much better chances of getting a response. The most important thing that you need to do is stay organized during your influencer outreach. That way you’ll be able to easily keep a track of whom you’ve contacted, who’s responded, and who has not. This will help you plan when to follow up and schedule your meetings efficiently. Remember to focus on building a long-term relationship with influencers once they’re onboard. Only if your influencers feel comfortable working with you and are finding the partnership valuable, will they deliver stunning results. Provide them the creative freedom they need and try to promote their work in your professional networks. This will make them truly involved in your business, and focus on giving it their best. Can you think of some more useful tips related to conducting effective influencer outreach programs? Let me know in the comments below. Great post on this increasingly important subject! I’d also advise brands who may not be able to connect with their ideal influencers (even micro-influencers can be hard to connect with), to consider reaching out and sending their products to those closest in the target influencer’s network. Many brands who have landed leading influencers have used this technique to gain traction and familiarity with their target, and it is quite clever. That is a great idea, Isaac! I really appreciate the insights. I have been reading your posts very carefully. Your posts are so informative and easy to grasp. These tips will definitely help me a lot in my future posts. Wow, great content with valuable tips. You hit the nail, Shane!